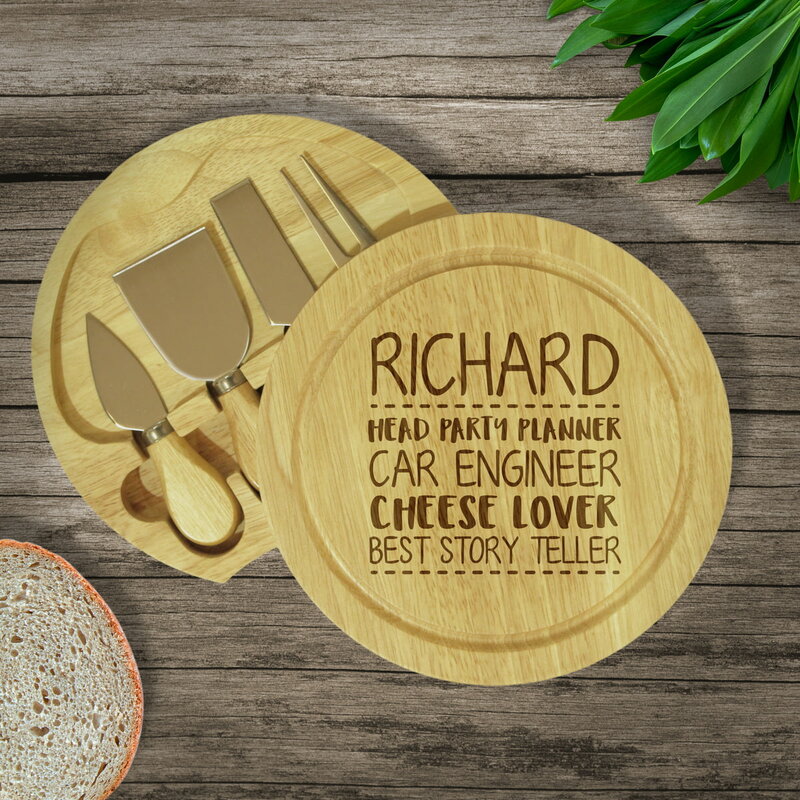 Made from quality wood, this round cheese board and 4 cheese knives would make the perfect gift for anyone who loves their cheese. Dimensions: 30 x 30 x 5cm. 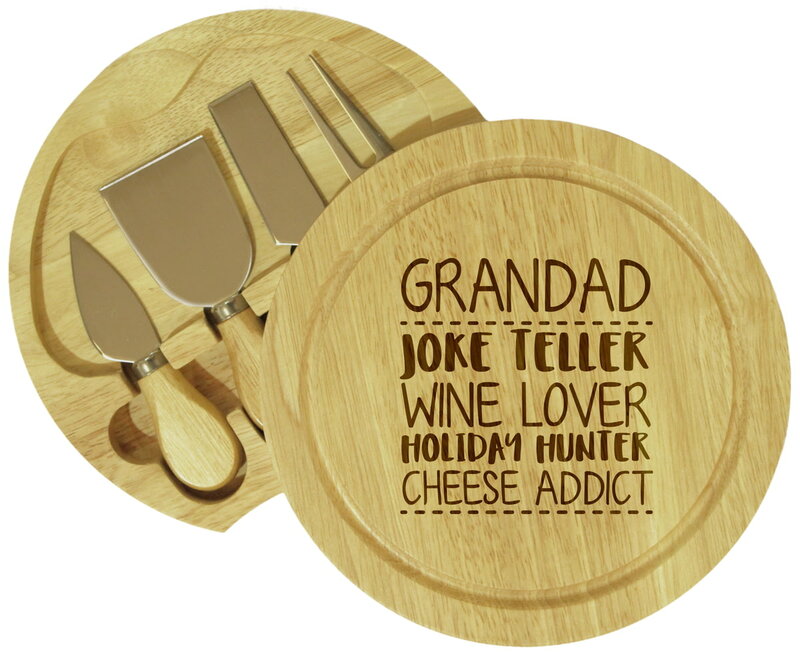 The perfect gift for that cheese lover.